How can one of the most romantic cities in the world amaze even experienced travelers? Most probably, beautiful canals and rides in beautifully decorated gondolas are not enough. However, do not hurry to decline an opportunity to enjoy an exciting ride on Venice canals. There is a wonderful motor boat renting station on Canarreggio Street, building 331. The price of renting a private boat is nearly 30 euro per hour. Given that some boats are up for 6 people, the renting fee is not just attractive – it’s an incredibly generous offer. Naturally, all clients of the renting company need to prove they know how to ride a motor boat. There must be at least one “shipmaster” who can handle this task. If you prefer walking to water-based activities, don’t forget to find the narrowest streets of Venice. Ramo Ca Zusto and Calle Varisco are considered the leaders in this category. The width of the latter one is only 53 centimeters, so if you want to slip between tall old buildings, make sure no one is moving into your direction from the opposite side of the street. Otherwise, you might need to go back in the middle of your way – there’s not enough space for two people to pass each other on the narrowest street in Venice. The picturesque Burano quarter is a no less interesting place for walking. It is located on islands, so there has never been a single car there. You will not face endless tourists as well, so it’s possible to enjoy an unhurried walk along canals, observe boats of local people docked nearby, and admire charming small houses with facades painted in all colors of the rainbow. The most attentive travelers will find several homerun restaurants that offer excellent fish dishes at affordable rates. If you enjoy walking in unusual shops, don’t forget to visit Libreria Acqua Alta . The shop consists of several halls. Upon entering, it’s simple to understand why Libreria Acqua Alta is often called “the most beautiful bookstore in the world”. One can hardly find one more shop in the world that stores its goods in a giant gondola! As there are not enough gondolas to keep all books, in different halls books are carefully put into an old bathtub, on old armchairs and massive wooden tables. At a glance, it’s hard to understand that you’re in an ordinary bookstore. Libreria Acqua Alta is reminiscent of an antiquity store or a history museum. If you’re keen on mystical stories, don’t forget to visit the small and secluded island of Isola di San Servolo . Several hundred years ago, an asylum was open there. The mental health clinic was operating until 1978. According to the official data, many patients became victims of devastating experiments. Locals claim that ghosts of those patients still live in the old building of the asylum. Skeptical travelers can head there and prove that doubtful fact themselves. This article about ideas on extraordinary weekend in Venice is protected by the copyright law. You can re-publish this content with mandatory attribution: direct and active hyperlink to www.orangesmile.com. Walk through hidden local streets, sneak to a small cafe, breathe and enjoy Venice from inside. 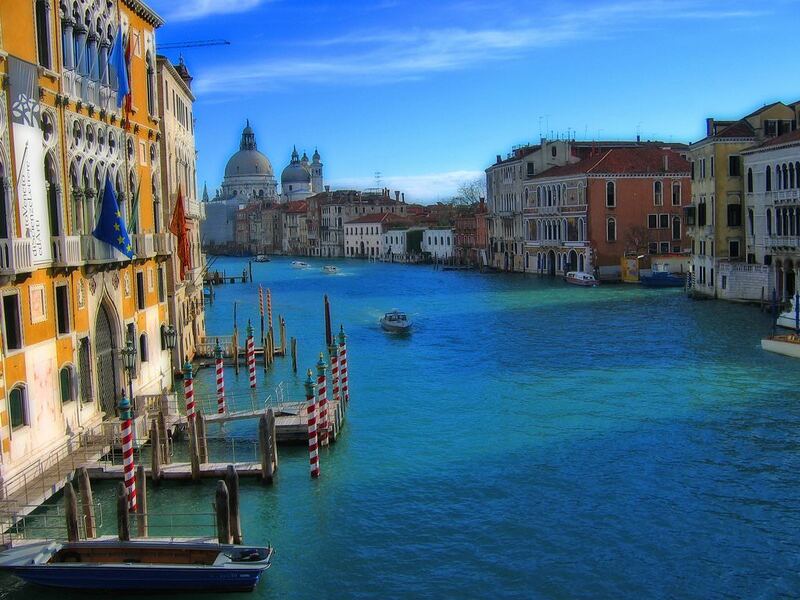 Stay out from the beaten track during your city weekend, discover the soul of Venice as a real travel gourment. Follow our guide, take one of the exclusive services and spend your time in Venice unforgettably and with a full passion!